Amplex Technology Services is your full-service Naples, FL technology company. your full-service Naples, FL technology company. Amplex Technology Services featured on ABC local news spotlight Tuesday January 29, 2019. Amplex Technology Services is the premier source for all high-tech amenities, designed to suit your taste, lifestyle, and budget. We offer a wide range of technology services and solutions for homes and businesses throughout SW Florida. We install and service the largest scope of technology in southwest Florida. Homes, businesses, RVs, and even boats, there is no where we won’t go to fix, install, or upgrade your tech. Remember when full service meant exactly that? We embrace this dying convenience by going the extra mile all of the time. We don’t stop at a client’s satisfaction or happiness; our goal is ecstatic clients who rely on us for all of their technology needs. Whether it’s full home automation, home theaters, security systems, structured wiring, computer assistance, or electrical repairs. We are your one stop, full-service technology company. Tech support wherever you need it. From the device in your hand to the wiring inside the walls, we install, service, and sell it all. Look to Amplex when it’s time for an upgrade or repair. Ride in style with lighting and entertainment system setups that stun. We come to you for onsite RV electrical repairs and equipment installations. Fish finders, satellite setup, speakers, security, and safety. We do more than keep you afloat, we enhance your experience on the water. Consult Assess what is in place, what is wanted and what is needed. Design Systems built for functionality and safety. Install Setup doesn’t end until we teach you how to use your system. Maintain Update your systems for lasting quality. Repair Fast response and a determination to get you up and running. Full Service is the Amplex Standard. Control lighting, climate, appliances, audio, video, and monitor your home 24/7 with real-time surveillance. 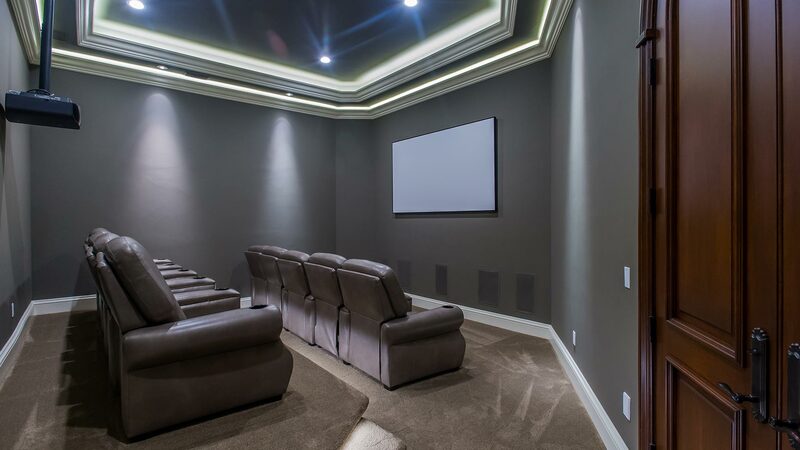 Amplex offers basic home theater set-up packages, as well as professional, custom designed media rooms and theaters. That’s just the start of all we do. We are official dealers of the following brands and many more! "TJ knows what he is doing!" He salvaged our hard drive from the broken computer and downloaded all our files, contacts, emails, pictures, and songs to our other computer... He Instructed us on its use and did this all in under 2.5 hours. The cost was very fair... We will recommend him to anyone needing support with computers, tablets, phones, or TV systems. Amplex installed the sound system at Miramare Restaurant in Venetian Village. It is an outdoor system and there aren't many company's that had the resources to handle that kind of installation. They are on the high end of the spectrum. "Not Every Company is as Prompt as Amplex"
TJ is knowledgeable, skilled and friendly, and I highly recommend Amplex to anyone who needs computer assistance/repair (and from what it sounds like from the other reviewers and casual conversation with TJ, home theater expertise too). I found the them to be very dedicated to excellence, very motivated to get things right, very enthusiastic about helping me and very original in the finding solutions I hadn't thought of. I had two other companies give me a quote and they were about 15% lower. Amplex Technology Services offers a wide range of technology services and solutions for homes and businesses throughout SW Florida, including: Naples, Marco Island, Bonita Springs, Estero, and Fort Myers. Contact us today to schedule your on-site consultation at your home, office, boat or RV! © Amplex Technology Services, LLC. All Rights Reserved.